Tehran, Feb 6, IRNA -- The 18th International Kharazmi Festival opened here Sunday with President Mohammad Khatami as the special guest. 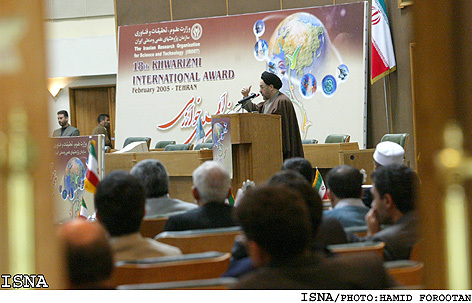 The International Kharazmi Festival is held every year to introduce and honor scientific achievements of Iranian and foreign researchers. 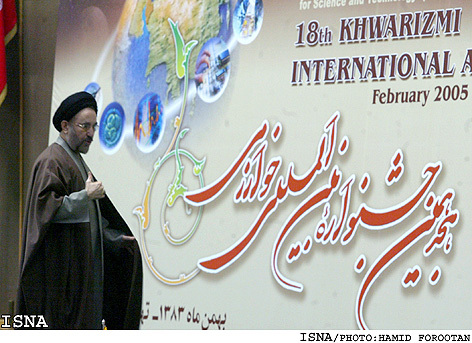 President Khatami will award winning scholars of the festival with badges and certificates of honor. During the festival, 35 domestic and five foreign projects from Italy, Australia and Bangladesh chosen out of 858 domestic, 108 foreign and 25 projects of Iranian researchers abroad will be introduced. The projects sent to the festival's secretariat come mainly from Southeast Asian states and other Asian countries, including India, Pakistan and Bangladesh. 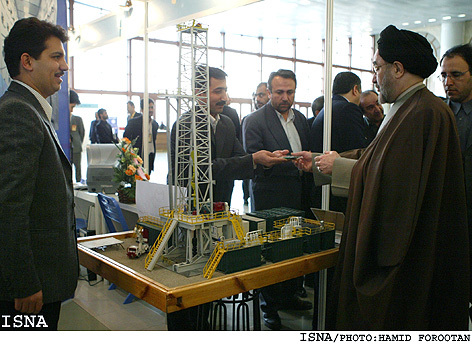 The festival's secretary, Javad Qassemi, told IRNA on Sunday that mechanical engineering (198), electrical and computer (175) human sciences (170) and industrial or chemical (103) projects topped the list of total projects submitted to the secretariat. President Khatami is scheduled to deliver a speech within hours.